Our experienced team is ready to help meet your training needs. Please contact us today to discuss your requirements. Frank’s qualifications have been acquired through experience on the job as well as through formal education. He began his employment in the Gas and Oil industry; loading tanker trucks and delivering bulk fuel. He then moved on to the construction industry; hauling aggregates, excavating and performing snow removal operations. Frank continued to expand his qualifications as a Maintenance Mechanic with the Ministry of Transportation; providing maintenance and repair services with the Ministry’s Marine and Structural department. During the winter season, Frank held the position of Night Patrol Supervisor. Formal education to become the Ministry’s Fleet Driver Trainer was facilitated through MTO. Frank provided MTO operators with theory-based and practical instruction on an extensive assortment of equipment including plow trucks, graders, backhoes, forklifts, boom trucks and propane steamers. Frank was also responsible for conducting defensive driver training, driver assessments and signing authority functions for license upgrades and renewals for staff, accident investigations for litigation and for the further development of the Safety Program. Mike Collins has spent several years working in the home building & renovation business as well as performing winter maintenance activities. This experience has provided Mike with a thorough understanding of a safe and efficient work environment. His experience and accreditation span many areas including propane in construction, skid steers, elevated work platforms, fall arrest, chainsaw, ladder safety, zero turn mowers and the safe handling/operation of construction tools. 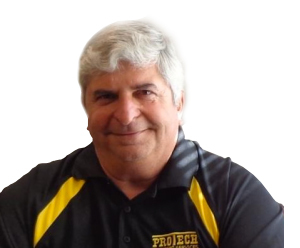 Pro-Tech is pleased to announce that Mike is joining our team to assist in providing our clients with the information they need to work safely on the job. 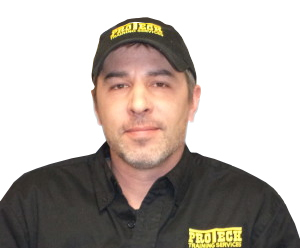 Mike’s extensive knowledge will be a great asset to the Pro-Tech team. 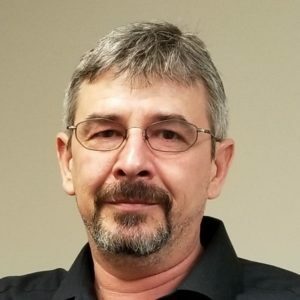 With over 20 years of driving Tractor-Trailer throughout Canada and the United States, Mark brings a wealth of knowledge and experience to Pro-Tech Training Services. We are pleased to have Mark joining us as Training Coordinator for our Class ‘A’ Tractor Trailer training course. Any questions that you have in regards to driver training, Mark will be glad to advise you on the process of getting a Class A driver licence.